Looking to join an exciting and rapidly growing company? 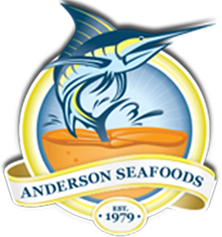 Deeply rooted in the seafood industry for more than 30 years, Anderson Seafoods exists to provide the freshest seafood and unmatched customer experience. We advocate for sustainable sourcing, and partner with businesses who share our vision. Anderson Seafoods has redefined the way people buy seafood online. We recruit and retain top performers committed to helping us execute our mission.